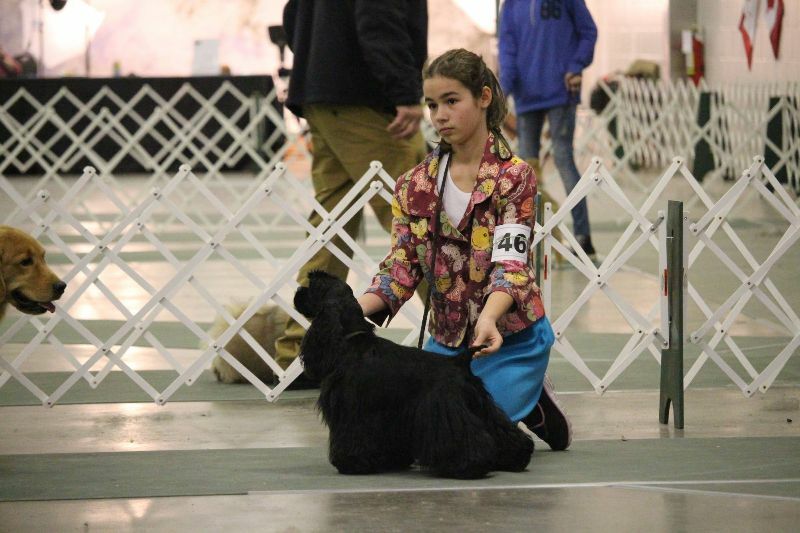 Our daughter Audrey has been showing since the age of 4, and just loves it. 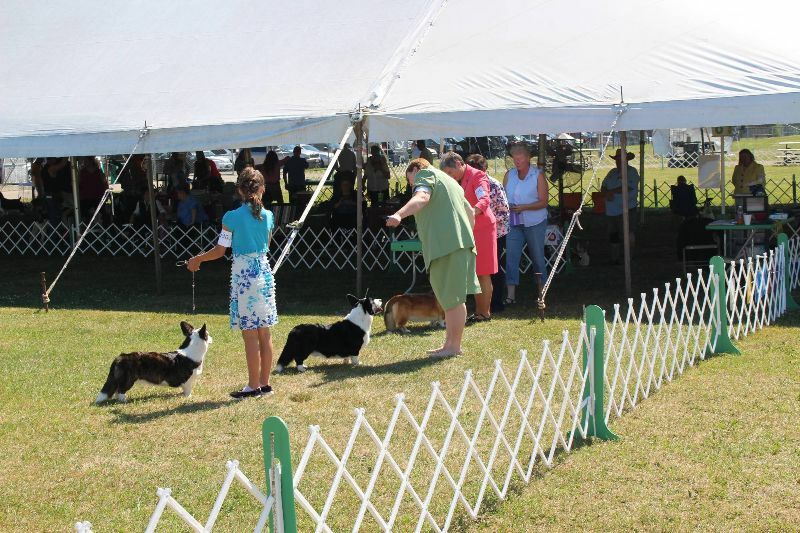 She has shown a wide range of breeds, including; Pomeranian, Flat Coated Retriever, German Shorthaired Pointer, American Cocker Spaniel, Nova Scotia Duck Tolling Retriever, Cardigan Welsh Corgi, Saluki, Doberman Pincher, English Cocker Spaniel, Boston Terrier, English Pointer and many more. 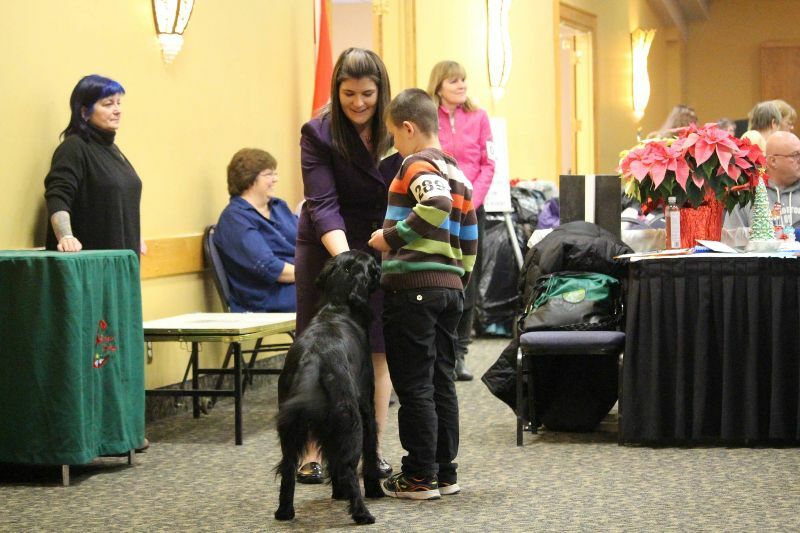 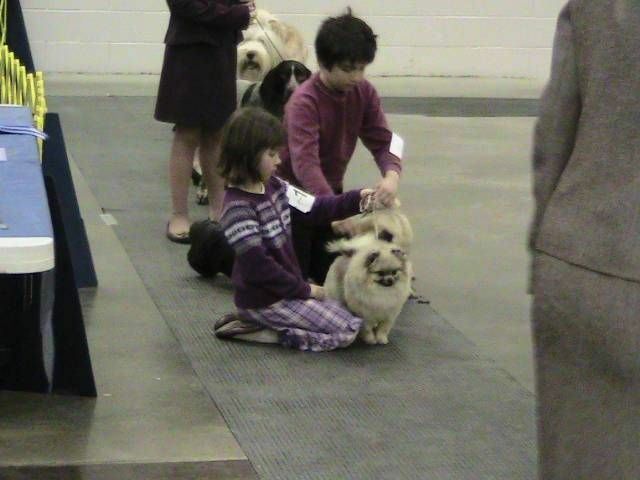 She enjoys helping others show their dogs and often takes our own dogs in the ring. She has put points on several of our dogs and taken many UKC group placements as well. 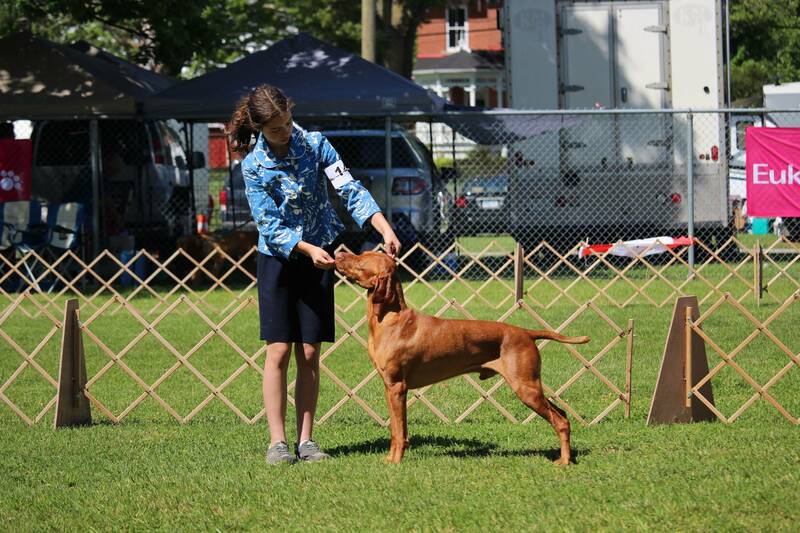 She frequently wins her Jr Handling classes and has been the Best Overall Jr Handler many times in both the UKC and the CKC. 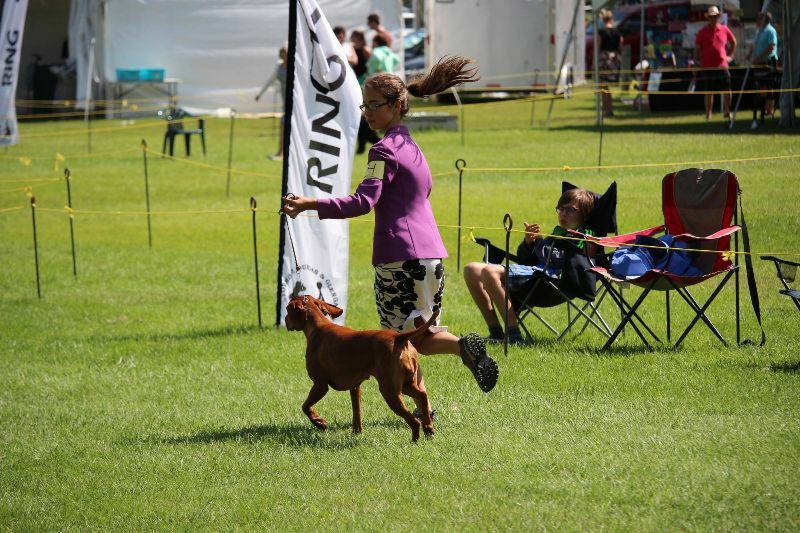 Audrey started taking classes in Rally Obedience in 2018 with our dog Elara. 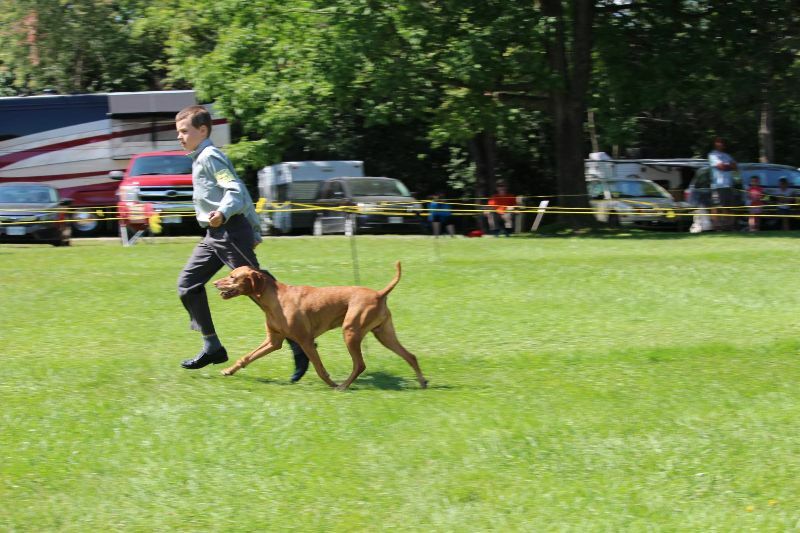 They have become a great working team and together earned a URO1 title, (rally level 1 in the UKC), and will be working towards level 2 and competing in CKC rally trials. 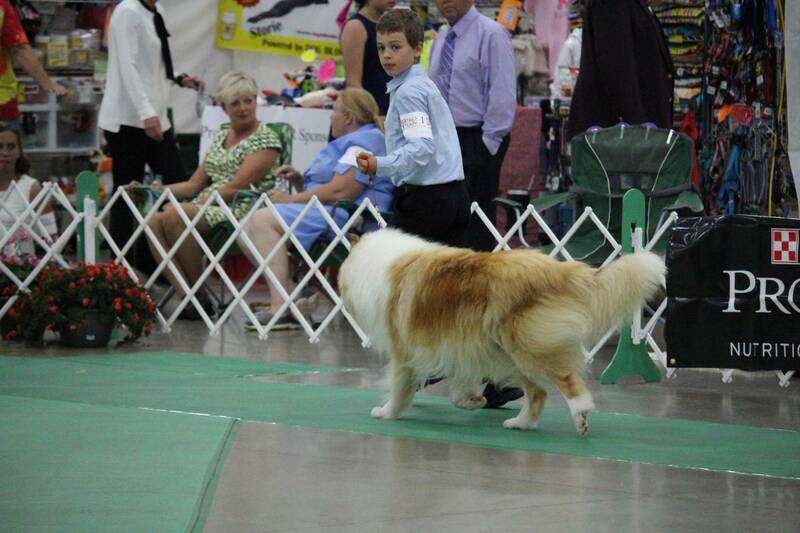 Cole also began showing at a young age and continues to enjoy it. 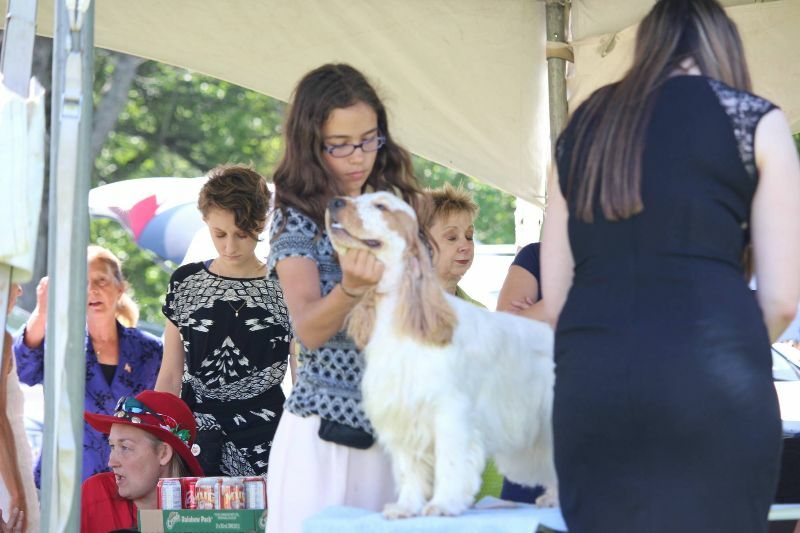 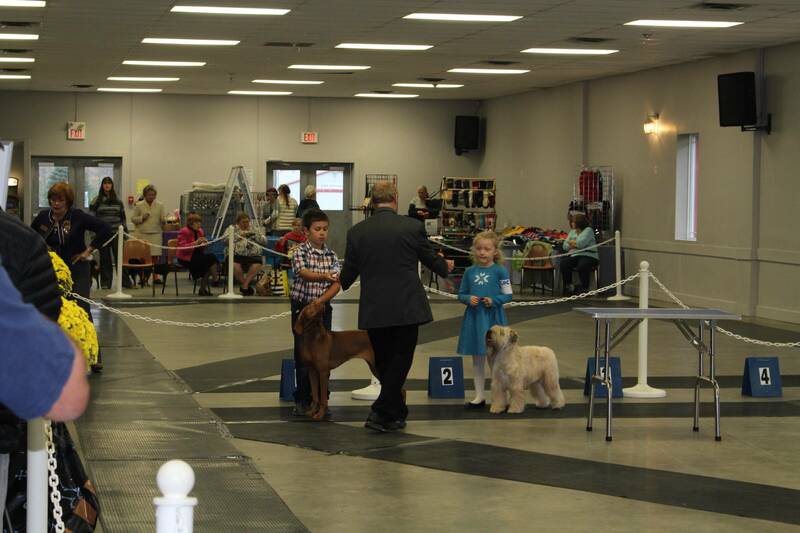 Since it is hard to have a dog entered at the show for all the kids, he started showing new breeds early on and has shown the following; German Shorthaired Pointer, Nova Scotia Duck Tolling Retriever, Pomeranian, Boston Terrier, Flat Coated Retriever, Weimaraner, Rough and Smooth Collie, Saluki and several others. 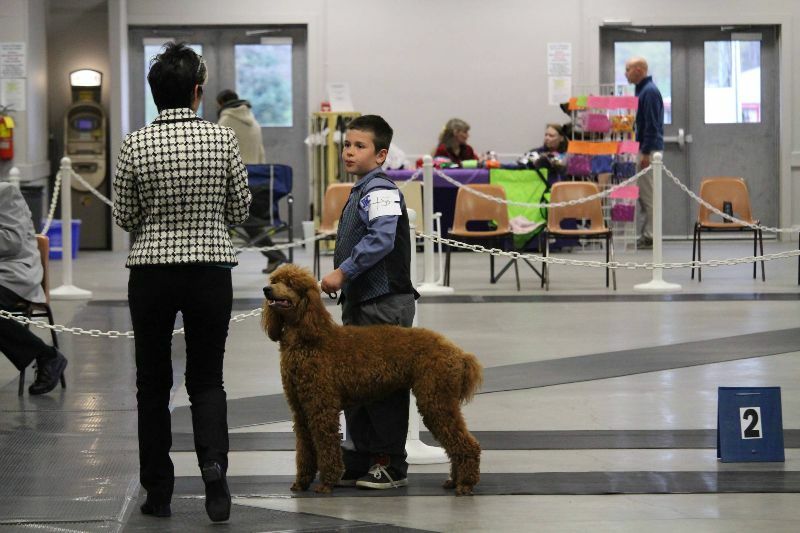 He started showing in the regular classes in 2015 and loves to take our Veterans in the ring. 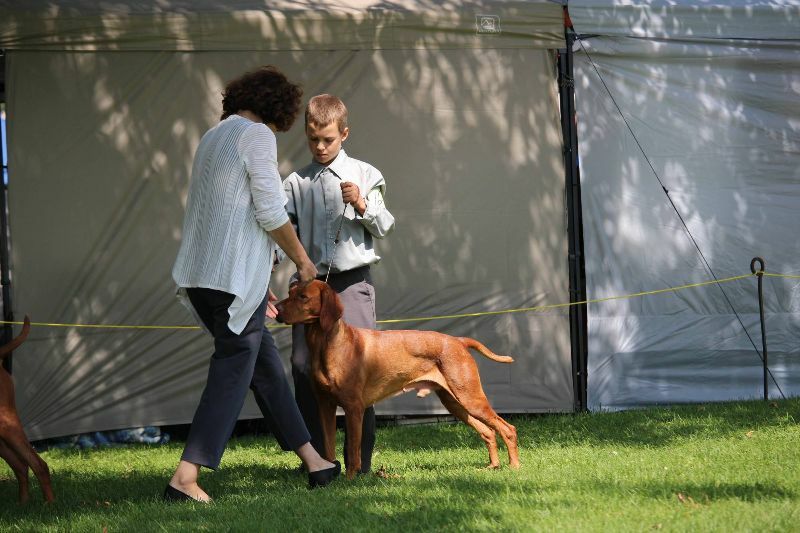 He has won his Jr Handling class several times in the UKC and CKC and has recently started to win Best Overall Jr Handler at UKC shows. In 2018 Cole began training and trialing in Weight Pull with our veteran dog Monte. 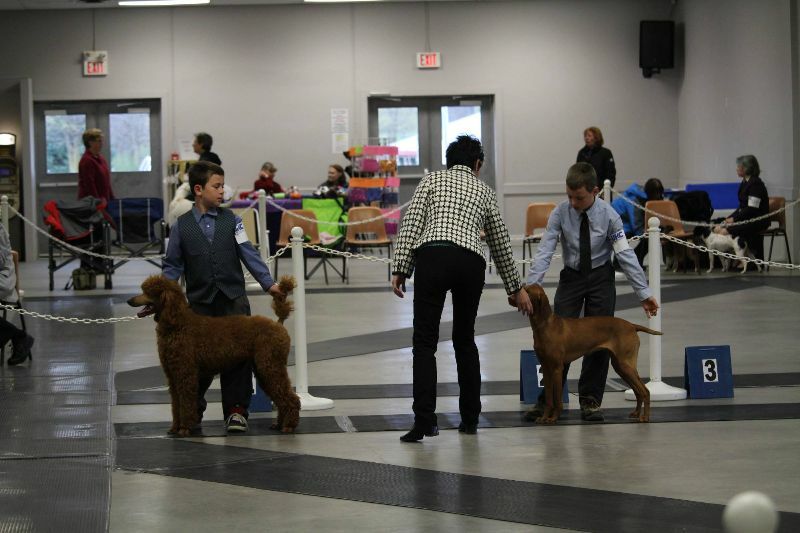 They quickly earned a UWP title in just 1 weekend and are working towards Monte's Weight Pull Championship. 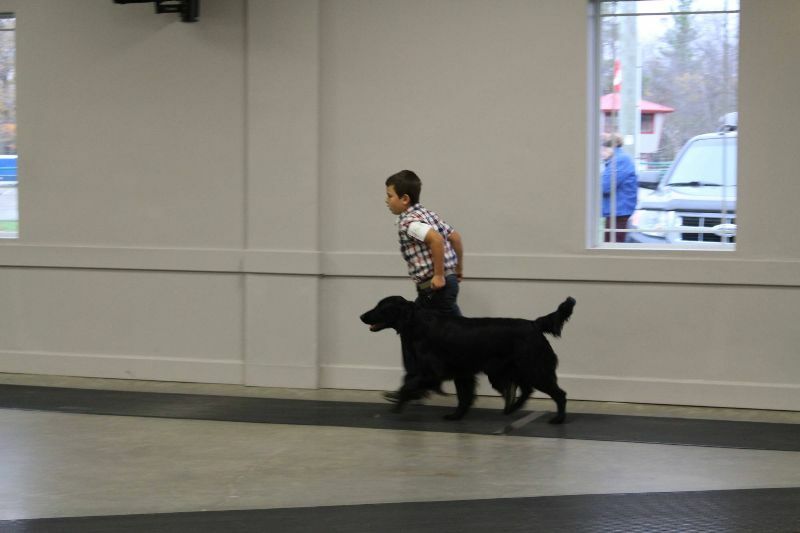 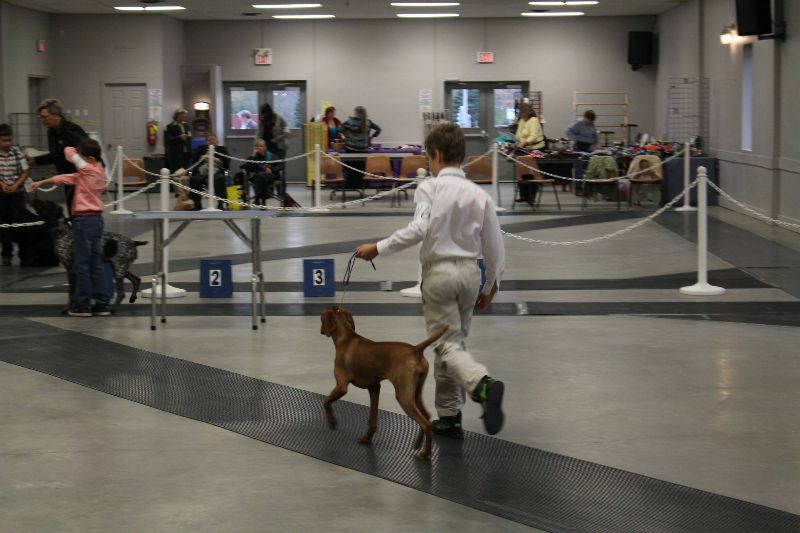 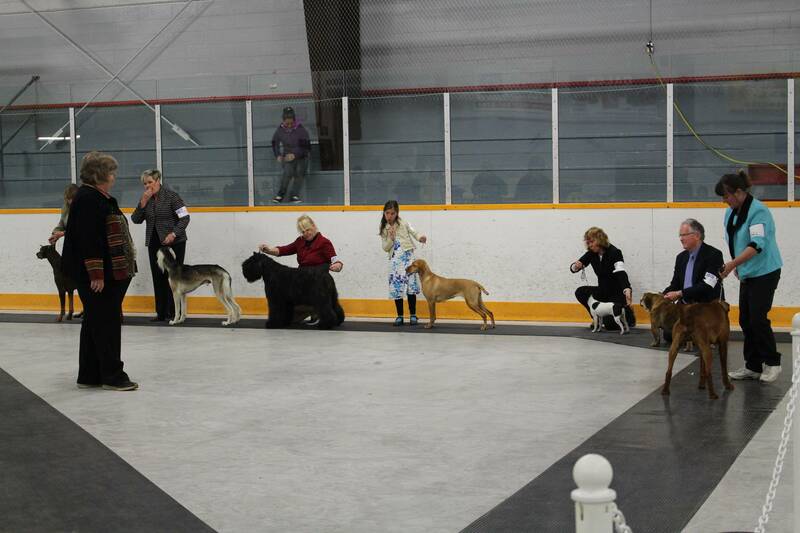 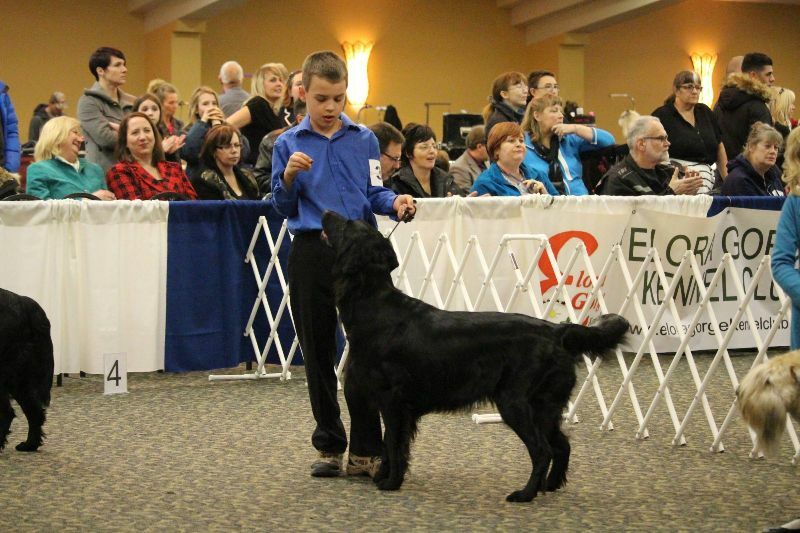 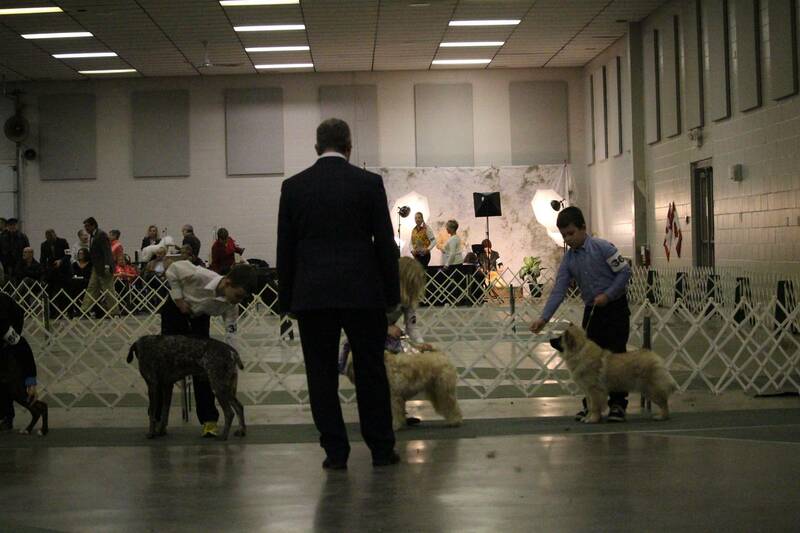 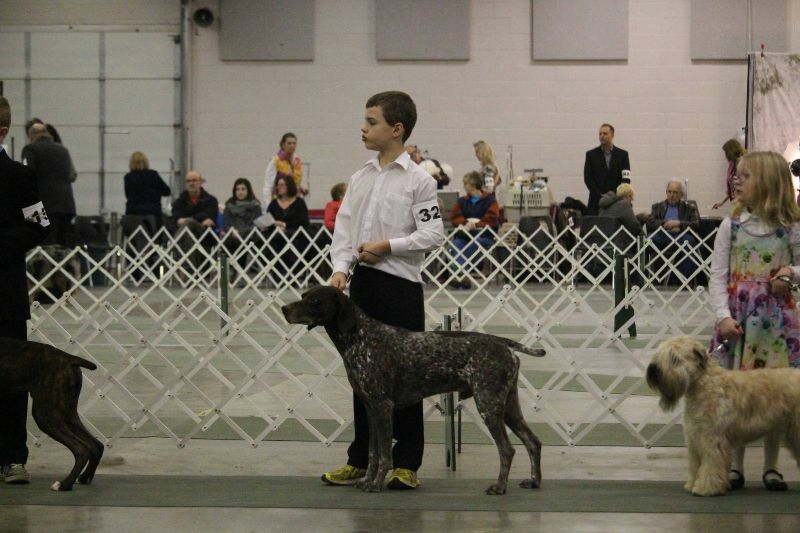 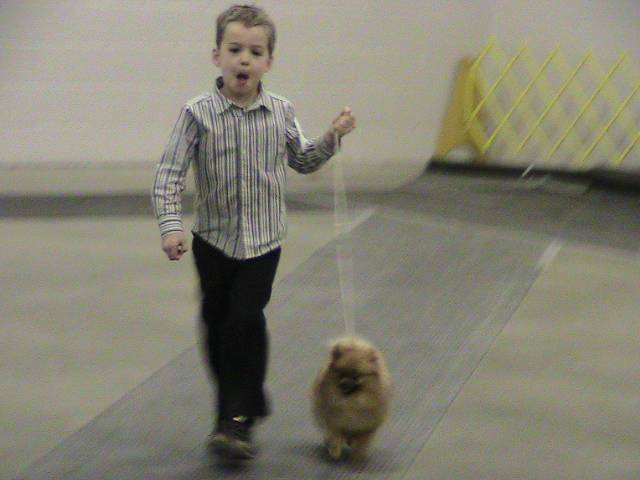 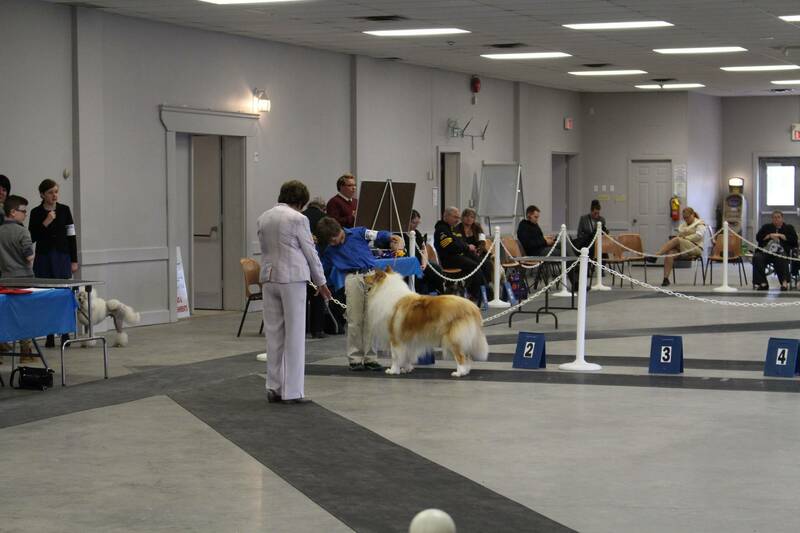 Emmett got started early showing in the Pee-Wee classes at both UKC and CKC shows. 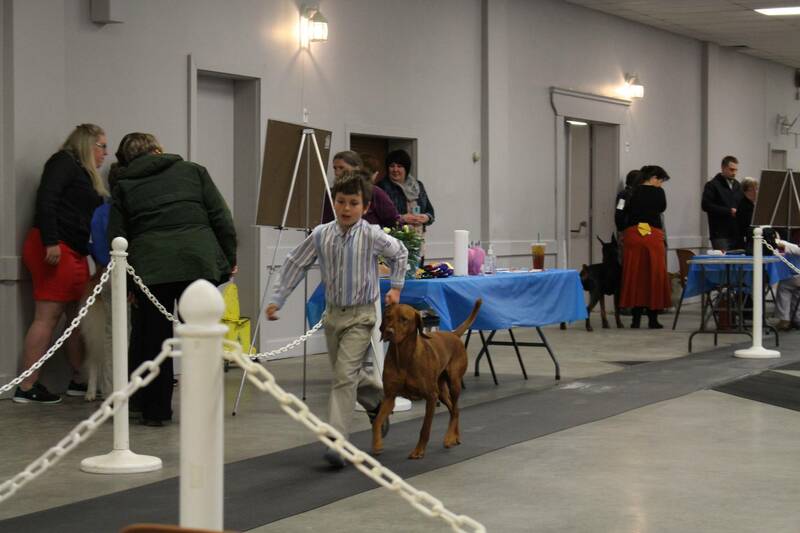 Recently he started to get much more competitive, placing often in the CKC and he has won his class in the UKC several times. 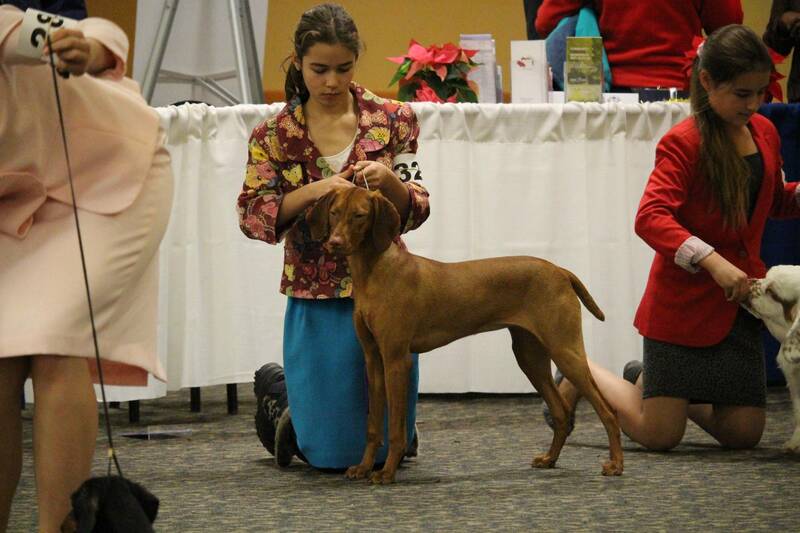 Recently at the UKC Premier show in Kalamazoo, Michigan, he placed in the very large Novice class all three days. Emmett has also shown a wide range of dogs, including; Afghan, Corgi, Pomeranian, Eurasier, Saluki, Nova Scotia Duck Tolling Retriever, English Springer Spaniel, German Shorthaired Pointer, Flat Coated Retriever, Standard Poodle and many others. 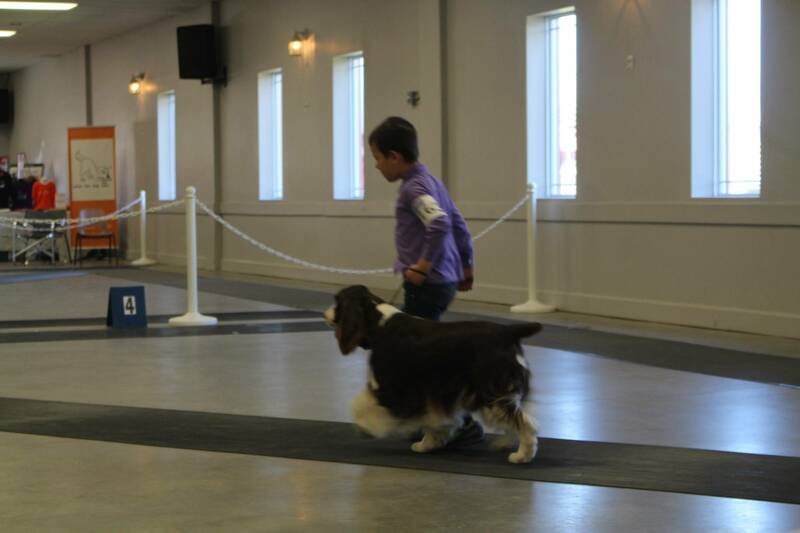 Emmett hopes to compete with our dogs in the sport of Barn Hunt, and has attended some classes on it already.